Behavioral health services embedded in GBMC primary care practices. More than a quarter of individuals who have physical health conditions also suffer from a mental health condition. To make access to mental health care easier for people in the Baltimore region, we partner with Greater Baltimore Medical Center (GBMC) to provide behavioral health services in nine primary care practices. Research shows people are more open to receiving treatment when offered in a familiar setting, and results indicate this is an effective way to address behavioral health disorders for certain individuals. 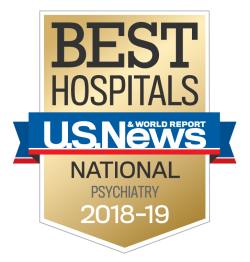 Full-time Sheppard Pratt behavioral health consultants are directly embedded in GBMC primary care practices to provide mental health evaluations and treatments. When a primary care physician notices that someone has symptoms of a behavioral health issue, instead of making a referral in the community where wait times could exceed four to six weeks, the patient has access to a high-quality Sheppard Pratt provider right down the hall. By using this approach, individuals do not have to worry about finding a mental health provider near them, figuring out if the provider takes their insurance, and waiting for an available appointment. Embedding behavioral health consultants in primary care practices enables us to offer comprehensive care. Providers work together to develop the best ways to treat the individuals they serve, leading to better health outcomes. Sheppard Pratt Integrated Behavioral Health at GBMC participates with many major private insurance companies, as well as Medicare and Maryland Medical Assistance. Click here to schedule an appointment at a GBMC primary care practice.